There is an island in the Far East called "Japan." This small country is being threatened by the superpower nation, the Britanna Empire. And there are two boys lining there. One is the son of the emperor of the Holy Empire of Britannia- Lelouch vi Britannia. His mother was murdered by an unknown assassin, and Lelouch was sent to Japan as a political tool. 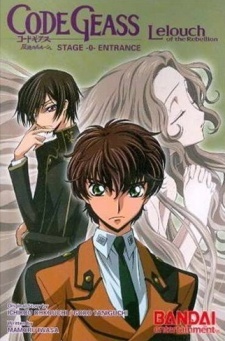 The other is the son of the Japanese Prime Minister-Suzaku Kururugi. Their meeting will be the prelude to a war involving the whole word!